He was slow and inept as a student, with what was later described as an undiagnosed serious learning disability. As time went on, he became even more lost, as well as paranoid, and by junior high he “floundered ever more hopelessly in his classwork, still able only to print in the laboring hand of a third-grader.” And though unable to understand much of what was going on around him, Ricky was beaten mercilessly by his father. In 1981, Ricky Ray Rector killed a man. After an argument outside a dance hall over a three-dollar cover charge, Rector removed a gun and started shooting randomly. Two people were wounded, while a third, Arthur Criswell, received a fatal bullet to the head. Rector fled, but he didn’t go very far. Mostly he ducked in and out of various houses around Conway, running in circles, unsure where to go. Eventually, he found his way back to his mother and sister. After speaking with them for some time, he decided to turn himself in. Rector’s mother called Officer Bob Martin, a family friend who knew Rector and whom Rector trusted. Martin was known as an affable and kind policeman, who walked the beat and got to know everyone in Conway. Rector was considered dangerous, but if there was one person who could safely bring him in, it was Martin. Martin arrived at Mrs Rector’s home, and they waited for Ricky to arrive, chatting politely in the living room. But Martin did not get a chance to persuade Rector to surrender. Sneaking in from the rear of the house, Rector approached Martin from behind. When Martin turned around to greet Rector, Rector shot him in the head and ran from the house. Seconds after exiting the front door, Rector put the gun to his own head and pulled the trigger, collapsing into the street. Officer Bob Martin did not survive Rector’s gunshot. But Rector himself did survive, albeit only in the most limited sense. In order to save Rector’s life, doctors had to remove about one-third of his brain, much of which had been destroyed when Rector shot himself. The surgery left Rector effectively lobotomized. He had never been particularly mentally sound, but after having so much of his brain removed, Rector could barely function. A psychologist reported that he had “a near-total inability to conceptualize beyond a response to immediate sensations or provocations” and “seemed unable to grasp either the concept of past or future.” It was “a classic prefrontal lobotomy” that had left Rector “totally incompetent.” After realizing the extent to which Rector’s capacity had been destroyed, Rector’s sister simply assumed that Rector would be institutionalized for life. His mental functioning was that of a very young child. Rector’s fellow death-row inmates immediately knew there was something very wrong with him. One said that “no one can pass his cell without answering a long repertoire of questions that he has about dogs . . . In the middle of the night, his light goes out, he’ll start screaming. He’s afraid of the dark . . . And everybody is up because Rector has woke everybody up.” Inmates even began supplying him with their own medications in the hope that it would help him to calm down. The prison chaplain recalls meeting Rector for the first time: “He was gripping the bars, howling, jumping . . . There were Indians, he thought, in the corner of his cell, who he was busy hunting. In between, he would speak to me.” Rector was “hollering,” “dancing,” then “jumping over and shooting at where he had been dancing. Pigman says that “it was obvious [Rector] had the mentality of about a six- or seven-year-old. . .” For three weeks, Rector cowered in his cell, “like a child cringing in his bunk,” and refused to come to the chapel “because he was afraid someone would kill him.” Chaplain Pigman conducted his service alone with Rector in his cell, as Rector “hulked” in the corner of the room. It was clear that Rector had become deeply disturbed. A psychologist described his linguistic capacity as operating at a “very, very primitive type of level” and his motor skills as negligible (“he fumbles, he has trouble picking up coins.”) Rector’s functioning was so obviously impaired, according to the psychologist, that there was “no possibility that Rector was shamming his pitiable performances in their examinations” (one of the state’s own specialists reported that Rector was “trying to do the best he could on those tests”). Ricky Ray Rector had been set for an execution date several times, but his case had been winding through the appellate process. Finally, his appeals exhausted (the state had insisted he was perfectly normal), Rector was set to be executed in January of 1992. At that point, without any legal remedies left, his only hope for reprieve was to be granted clemency by Governor Bill Clinton. 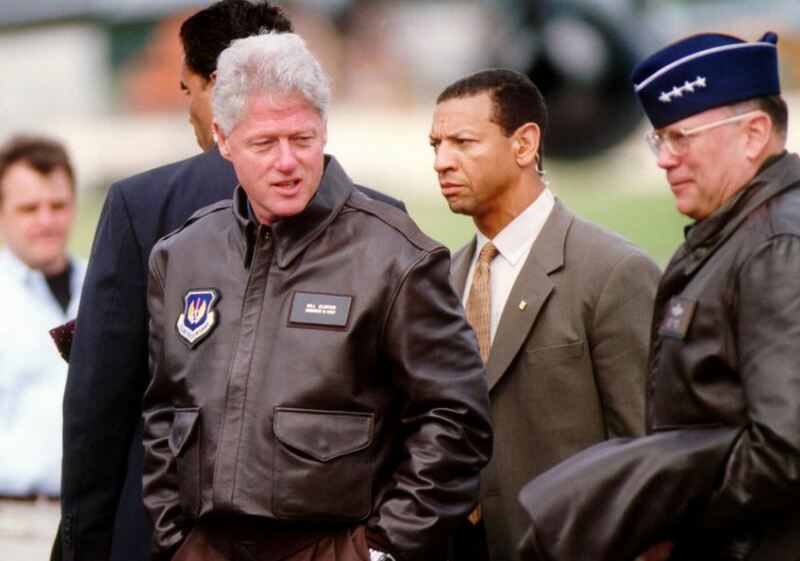 It was an inconvenient moment for Ricky Ray Rector’s life to depend on Bill Clinton’s mercy. As Rector’s execution date approached in 1992, Clinton was “fighting for his political life.” The New Hampshire Democratic primary was about to be held, and Clinton was facing a scandal that threatened to derail his presidential candidacy. An Arkansas woman named Gennifer Flowers had come forward to allege that she and the governor had engaged in a twelve-year affair, and that she had audio tapes to prove it. In a close race against Massachusetts senator Paul Tsongas, Clinton was unsure whether he could withstand the heat from the Flowers allegations, and felt he could not afford to take political risks. Clinton had also spent a great deal of energy trying to position himself as a “tough on crime” Democrat, in order to distinguish himself from previous generations of soft-hearted liberals. Clinton’s crime stance had been consciously cultivated back in Arkansas. Earlier in his political career, Clinton had lost a race against a “law and order” candidate, and those around him said he was determined not to make the same mistake twice. There was a sharp difference between Clinton’s attitude during his first term as governor from 1978–1980 (when he lost reelection), and that of his four subsequent terms from 1982 to 1992. I doubted deeply if he had actually talked with anyone who really knew Rector and the actual condition he was in. He needed to hear an affirmation from somebody who actually knew Rector and whom he knew, hear it himself ear to ear, plainly, that this guy was . . . seriously, seriously mentally deficient, just no doubt about it. Of course, Clinton was lying to Jackson when he said it “couldn’t be done” and that he was trying to find ways to get around it. In fact, Clinton had the full power to commute Rector’s sentence from death to life imprisonment. He had simply thus far chosen not to exercise his power to do so. Still, Rosenzweig believed Clinton couldn’t execute Rector, now that he had the facts. “I thought he just might not want to be seen as merciless,” Rosenzweig recollected. Clinton refused to grant clemency. Rector was executed on January 24, 1992. It is unlikely he had any idea what was about to happen. When he had his last meal, Rector set the dessert aside for later, even though there wouldn’t be a later. And in a pitiful and poignant detail, the night before his execution, watching Clinton on television, Rector said that he planned to vote for him in November. The Rector execution would send a strong message of what it meant to be a “different sort” of Democrat. That Clinton was willing to allow this execution to proceed, despite the widespread pleas coming in from across the nation, was a notice about the direction in which he would take the Democratic Party and the nation in the years to come.